I've teamed up with a wonderful group of talented bloggers to bring to your our best Christmas ideas to help make your holiday season festive and fun! Everyday between Dec. 1-12th, we are sharing our best Christmas ideas ranging from crafts, recipes, games, décor, tree trimming and so much more! Be sure to stop by our fellow bloggers every day during the entire month for even more creative ideas to make your season brighter. It's Day 12 - the last day of our Christmas Blog Hop! Today, we're sharing Decorated Trees! I love decorating trees for Christmas! I put out the same decorations each year, but I try to switch things around and add new handmade items. 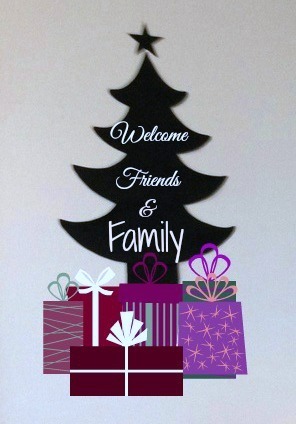 I usually create some sort of table-top type tree to add to my purple holiday décor! Today, I'm sharing with you some of my favorite holiday tree creations and the tutorial link to each project. One of my favorite holiday creations is the ice glittered cone trees I made! They actually have crushed mirrors combined with glitter and mod podge for the "icing" on top! And the decorative foam sheet trees - so classy and one of a kind! This is totally a diy craft starting with making the cones out of poster board, cutting out circles of foam sheets, turning the circles into ruffles using an iron, sprinkling the glue coated edges with glitter and finally gluing the ruffles on the cone trees with hot glue. That's all it takes to make these easy and elegant looking trees! On a side note, love this complementary crushed velvet tree skirt made with silver holly leaves with bells! And, to add a bit of glam and glitz, an ice tree! You won't believe how this sparkles against the lights! And can you believe this ornament wall tree? I love how it looks with the ombre effect! Then there's the Stak tree trimmed with filler stones! It's mini Styrofoam trees stacked on top of one another. 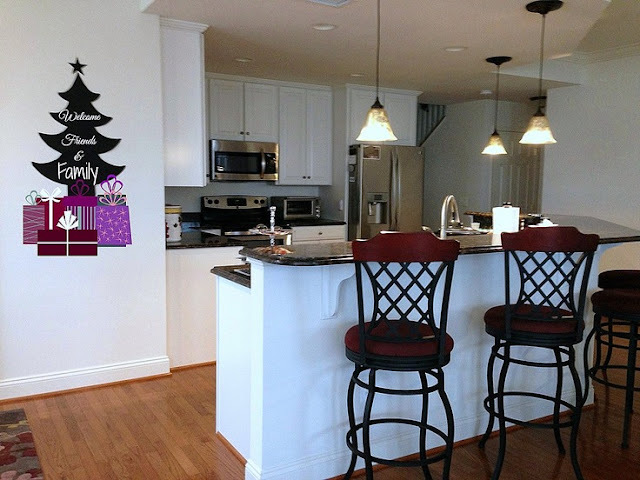 And a cut-out chalkboard fabric wall tree - perfect for the kitchen area! There's another large tree located in the living room, with a diy 3D Corrugated Cardboard Tree on the table!
. . . along with a couple of decorative ribbon trees, I made years ago before blogging! and finally, I've included my newest addition - an adorable purple crystal tree - a perfect tabletop decorative piece! I hope you enjoyed this brief round up of some of my handmade decorative trees. I could go on and on showing more . . . 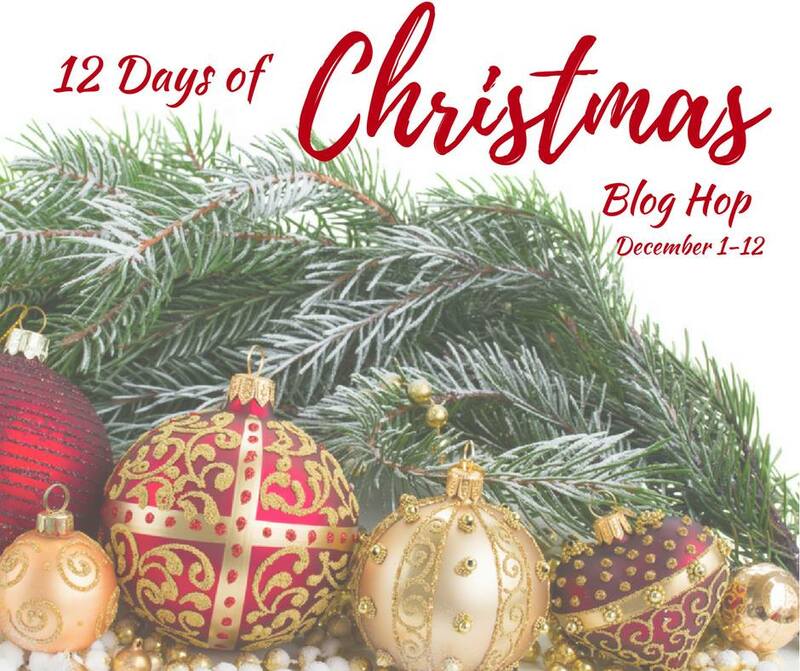 Thank you so much for joining us for this Twelve Days of Christmas Blog Hop! I just love all your trees, Gail. My favorites are the glittered cone trees and the ombré ornament one. They are all gorgeous and fit your purple theme perfectly! Love all your trees Gail. So fun and colourful. They're all so festive and creative. Especially love your crystal tree. So sparkly! I do love sparkle this time of year. How very pretty - so many creative ideas. I'd have a hard time deciding which was my favorite. I LOVE the upholstery fabric on the chairs pictured -- beautiful floral print. ooooh that pretty purple tree, i'll have one please!!! all those trees are so pretty!! You have some really cool pieces. I love the purple...my fav color. Thanks for sharing. How pretty and it suits you perfectly, Gail! Your trees are lovely and so unique! And I especially like how you decorated your mantle! Enjoy the holiday season and thanks for stopping by! Absolutely love all of it!! beautiful!! Your purple is awesome! I have a friend who's very into purple too, I really need to share this with her!